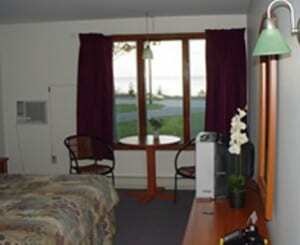 Birchmont Motel - Overlooking Lake Superior in Michigan's U.P. Welcome to the Birchmont Motel! This family owned and operated motel offers friendly hospitality with one of the grandest views of Lake Superior in Marquette County. Conveniently located on US 41 South, the Birchmont is only 3 miles from downtown Marquette and surrounded by as many recreational venues as would appeal to every kind of outdoor enthusiast! The Birchmont Motel is open from mid April through mid October, and offers accommodations with a lake view, free high-speed Internet access, mini efficiency, air conditioning, continental breakfast, barbecue, picnic areas, and an outdoor heated pool. Stop in and see our freshly painted rooms with new beds! Pets are welcome but must be registered. We look forward to seeing you soon!